December 11, 2016 By Asher Rubinstein, Esq. The year 2016 was an epic year in the offshore world due to the leaks of confidential offshore financial information known as the “Panama Papers”. In addition, in 2016, more countries began to report offshore financial information to the IRS under FACTA (the Foreign Account Tax Compliance Act). Also in 2016, the IRS and U.S. Department of Justice (DOJ) continued to successfully attack offshore banking “secrecy”, moving beyond Switzerland to other foreign jurisdictions. “Going offshore” for the purposes of hiding money from the IRS is now impossible. Going offshore for asset protection from civil creditors and for tax minimization is still viable and effective, but must be tax-compliant. In 2016, the International Consortium of Investigative Journalists (ICIJ) released a massive amount of once-confidential offshore information known as the “Panama Papers”. The files included sensitive foreign banking information, including identities of owners of offshore accounts, secretive corporations and other entities established by Panamanian law firm Mossack Fonseca. Also in 2016, ICIJ released data from the Bahamas including names of directors, shareholders and “nominees” of shell companies, trusts and foundations in the Bahamas. These most recent breaches of offshore secrecy followed the 2013 release of information, also by ICIJ, regarding offshore accounts in the British Virgin Islands (BVI) and Singapore, the 2008 theft of banking data at HSBC in France, and the 2006 leak at LGT Bank in Liechtenstein. The lesson, once again, is that hacking, leaks and whistle blowers are as significant a threat to banking secrecy as laws such as FATCA (the Foreign Account Tax Compliance Act) and inter-governmental cooperation and exchange of information. Another lesson is that offshore asset protection should not — indeed, cannot — be dependent upon “confidentiality” and “secrecy”, simply because offshore “secrecy” no longer exists. During 2016, the IRS and DOJ continued to investigate and prosecute many U.S. taxpayers with undeclared offshore assets. U.S. taxpayers with undeclared foreign accounts in Switzerland, Cayman, Belize, India, Israel, Singapore, Panama and other jurisdictions have been targeted. In 2016, the IRS collected a $100 million penalty from a U.S. taxpayer who hid his Swiss account. In 2016, most Swiss banks settled with DOJ and reported accounts with a U.S. nexus. In return for deferred prosecution, these Swiss banks are paying fines to the U.S. and revealing the identities of their American account owners. Clients of these banks who have not already come into IRS compliance can make a voluntary disclosure of these accounts, but will pay increased penalties in return for no criminal exposure (but not if the IRS already has their names!). Swiss banking secrecy, seriously weakened since DOJ forced UBS to disclose its U.S. clients in 2009, is now extinct. Moreover, now the Swiss banks report to the U.S. without advance warning to their U.S. clients. New legislation in Switzerland imposes penalties on a Swiss bank or bank employee who is aware of a U.S. request for information and then notifies the U.S. account owner prior to transfer of the requested information. All reputable countries are agreeing to the exchange of tax information and banking transparency. In 2016, Singapore implemented FATCA. In 2015, Luxembourg began exchange of bank depositor information. Likewise, Austria, the last remaining EU member holdout, agreed to share banking data. During 2016, over 100 countries (and hundreds of thousands of foreign banks and other financial institutions) have agreed to sign on to FATCA and automatically report foreign account and income data to the IRS, including: India, Cyprus, Singapore, Liechtenstein, Switzerland, Barbados, Bahamas, Hong Kong, Brazil, Jersey, Guernsey, Cayman, etc. If you have financial ties to foreign countries, you must address IRS compliance for foreign accounts and assets. The fact that a foreign bank has no branches in the U.S. is now irrelevant. The reach of the U.S. Government to foreign banks is undeniable. In 2016, Bank Julius Baer settled with DOJ, paying a fine of $547 million. Also in 2016, two Cayman Islands financial institutions pleaded guilty to conspiring to hide millions from the IRS in Cayman accounts. The IRS is investigating HSBC, the Swiss Kantonal banks, Pictet, Bank HaPoalim, Mizrahi Tefahot and banks in the Caribbean. During 2016, the IRS focused on Panama, Singapore and the Cayman Islands. DOJ also issued summonses to U.S. banks for information on U.S. correspondent accounts used by owners of foreign accounts to access funds. Banks in Switzerland, Israel, India, Singapore and the Caribbean are currently under investigation. We expect more banks, in other countries, to be targeted in 2017. Again, the fact that a foreign bank has no branches in the U.S. is now irrelevant. In 2016, Israeli banks froze many accounts of U.S. persons, until the account owners signed IRS Forms W-9 disclosing their social security numbers or provided evidence of S. tax compliance. U.S. persons with Israeli accounts now face two challenges: access to their money, and IRS compliance. Many are now entering the IRS Offshore Voluntary Disclosure Program. Israel has become the most vigilant of foreign countries in enforcing FATCA, to the extent that an Israeli banker may face criminal liability under Israeli domestic criminal law, for failing to abide by FATCA, a U.S. law. In positive news, the IRS issued recent guidance on FBAR penalties that seems to indicate a trend toward lower penalties for both willful and non-willful failure to file the FBAR. The new penalty structure allows for a single penalty, rather than multi-year penalties. In addition, the penalties should not exceed the value of the foreign account. The new guidance is applicable to cases currently in audit. Recent appellate court cases all uniformly have held that foreign bank statements must be handed over to the IRS regardless of any Fifth Amendment claim against self-incrimination. This means that the IRS can compel, via Information Document Request (IDR) or subpoena, a taxpayer or his bank to provide his offshore account records even if those records are incriminating. Prosecutors may then use those records to prove commission of tax crimes, including failure to file bank disclosures, filing false tax returns, tax evasion and tax fraud. In light of the above events, many clients have retained us to make their foreign accounts and other assets tax-compliant. We have represented many clients in Offshore Voluntary Disclosure Programs (OVDP) introduced by the IRS in 2009, 2011, 2012 and 2014. The 2014 OVDP is still in effect (although the IRS warns that it may close the program at any time). We have represented clients with accounts and assets on every continent (except Antarctica), brought them into IRS compliance and avoided prosecution. In 2014, the IRS changed the terms of its OVDP, and also began new “Streamlined” voluntary disclosure procedures for non-willful conduct. The Streamlined procedures have greatly reduced penalties (5% for U.S. residents; 0% for non-residents). We can advise you on which program is best for you. The penalties within the OVDP are usually less than if the IRS discovers the foreign account via audit, investigation or information the IRS receives from a bank or foreign government. Within the OVDP, the penalty is 27.5% of the highest value of the foreign asset(s). However, this penalty increases to 50% if the foreign financial institution housing the foreign account is under investigation or is cooperating with DOJ/IRS. There are approximately one hundred foreign banks on the so-called “naughty bank” list, most but not all in Switzerland. On November 15, 2016, the “naughty list” increased to approximately one hundred and fifty. The new additions are foreign “facilitators” of U.S. tax fraud, i.e., the foreign bankers, lawyers, trustees, investment advisors and other service providers who worked with U.S. clients to hide assets and income from the IRS. Clients should bring their accounts into tax compliance on the state level as well. 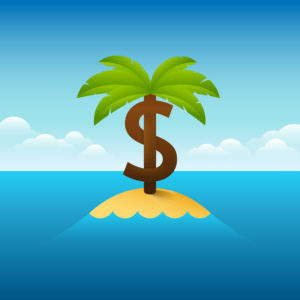 Some states, such as New York, New Jersey and California, have formal programs for offshore accounts. Other states, including Connecticut, had a formal program in the past, and we have been successful in applying the favorable terms of the past programs to current clients. The IRS shares information with state governments, including that a federal tax return was amended to report foreign income. Please contact us regarding tax compliance on the state and federal levels. Against the background of the U.S. offensive against undisclosed offshore accounts, FATCA and new compliance burdens, many foreign banks have “fired” their U.S. clients and closed even compliant accounts. In 2016, we assisted clients in keeping open their compliant foreign accounts, or locating new foreign institutions to take their business. While many foreign banks no longer welcome U.S. account holders, we have relationships with foreign institutions which still service our clients’ tax-compliant accounts. This year has been an unprecedented year both domestically and offshore. We can assist you in navigating through the changing offshore world and advise you regarding offshore (and onshore) assets.